Lagos State Governor Mr. Akinwunmi Ambode (right), being presented with his Land use Charge receipt by the Managing Director, Guaranty Trust Bank (GTBank), Mr. Segun Agbaje (left) at GTBank Opebi, Ikeja, to flag off the e- tax payment campaign on Monday, February 19, 2018. His Excellency, Mr. Akinwunmi Ambode, the Lagos State Governor, has flagged off the electronic tax payment campaign of the state which will allow residents and citizens of Lagos State to pay their taxes directly to the coffers of the State Government. The flag-off campaign was kicked off at the Guaranty Trust Bank, Opebi branch, Lagos on Monday February 19, 2018. Speaking at the flag-off ceremony, the Lagos State Governor, Mr. Akinwunmi Ambode noted that this noble effort was implemented so as to help tax payers make direct deposits to the Government coffers seamlessly. According to him, “The process in the payment of taxes have been simplified for the residents and citizens of Lagos State who are the direct beneficiaries of the productive utilization of taxes in the state. All the projects that have either been completed since the commencement of my administration or those that are underway have been done through taxes. 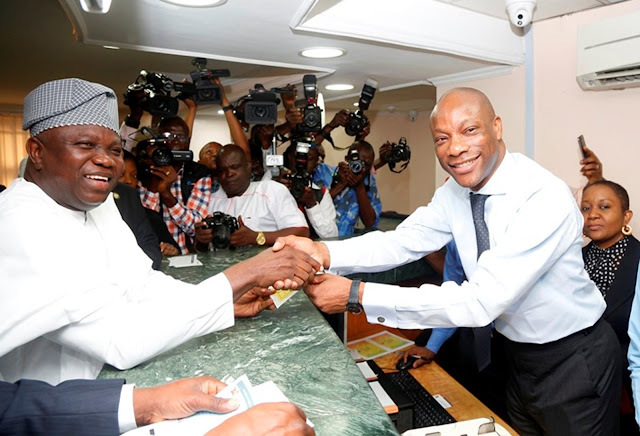 Lagosians would henceforth be able to pay their taxes through GTBank branches; the mobile payment and internet banking platforms of all banks. 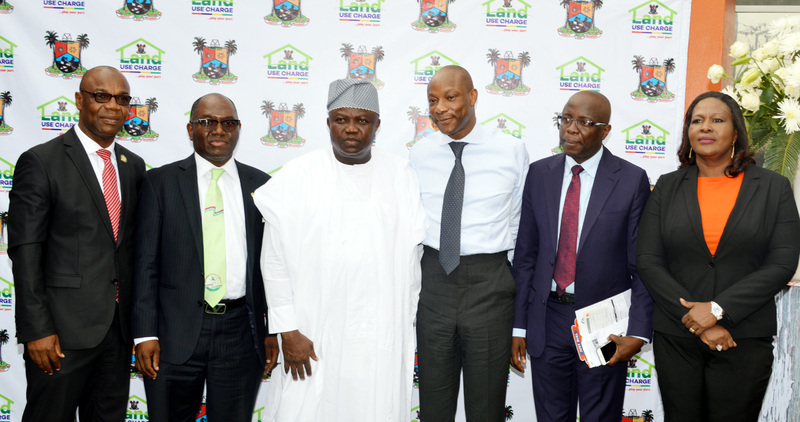 Lagos State Governor Mr. Akinwunmi Ambode (3rd left); Managing Director, Guaranty Trust Bank (GTB), Mr. Segun Agbaje (3rd right); Commissioner for Finance, Mr. Akinyemi Ashade (2nd right); Assistant General Manager/Divisional Head, Lagos State Public Sector, GTB, Mrs. Sherifat Dawodu (right); Chairman, Lagos State Internal revenue Service (LIRS), Mr. Ayo Subair (2nd left) and Special Adviser to the Governor on Revenue and Tax, Mr. Fola Lasisi (left) at GTBank Opebi, Ikeja, to flag off the e- tax payment campaign on Monday, February 19, 2018. He noted that the elimination of middlemen in the tax payment structure will reduce fraud in tax payment and government would be able to get immediate value for all tax remittance. GTBank is willing to support the government in the collection of all the different taxes payable to the Lagos State Government. The various forms of taxes and revenues that can be paid at all GTBank branches across the state include Pay as You Earn; Witholding Tax; Land use Charges; Direct Assessment; Development Levy & Business Premise. Others are Tax Audit; Stamp duties; Land Charges; Consent fees; Capital Gains Tax; Survey fees; Registration & Conveyancing fees.